Have you ever been given a compliment that you turned down by saying something that completely negated the great gesture? You are not alone if you just nodded your head. There are so many people (myself included) in this world who are not used to receiving appreciations easily. "Oh, they were just being nice." "They said that because they had too." "They didn't really mean it." "No. You were much better." "Oh, I was just lucky." While it is better to give than to receive, we cannot throw away the kind gesture of appreciation or recognition when it is given to us. We stand the chance of hurting the feelings of the person who took the time to give us appreciation and gratitude. It is important to recognize the balance of expecting to receive negative feedback and positive feedback. 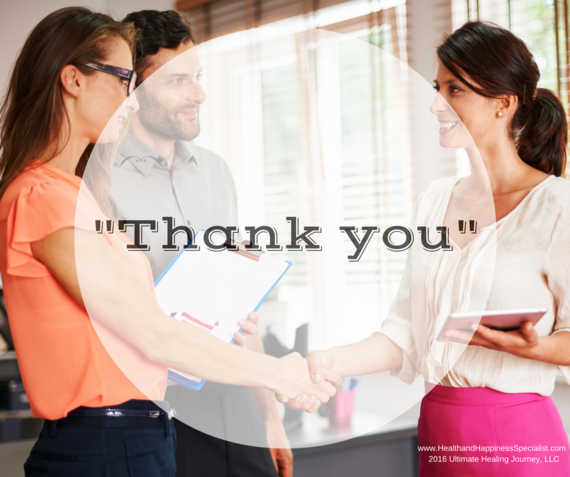 Positive feedback given in a form of appreciation boosts our sense of well-being. This wonderful gesture reinforces the value that you offer to others. Here are three gratitude "truths" that I love to teach in my positivity in the workplace workshops. They cover the powerful "give and take" art of gratitude nicely. 1. Gratitude is an instant way of boosting your levels of happiness. 2. Both appreciation and recognition are important in the workplace. 3. 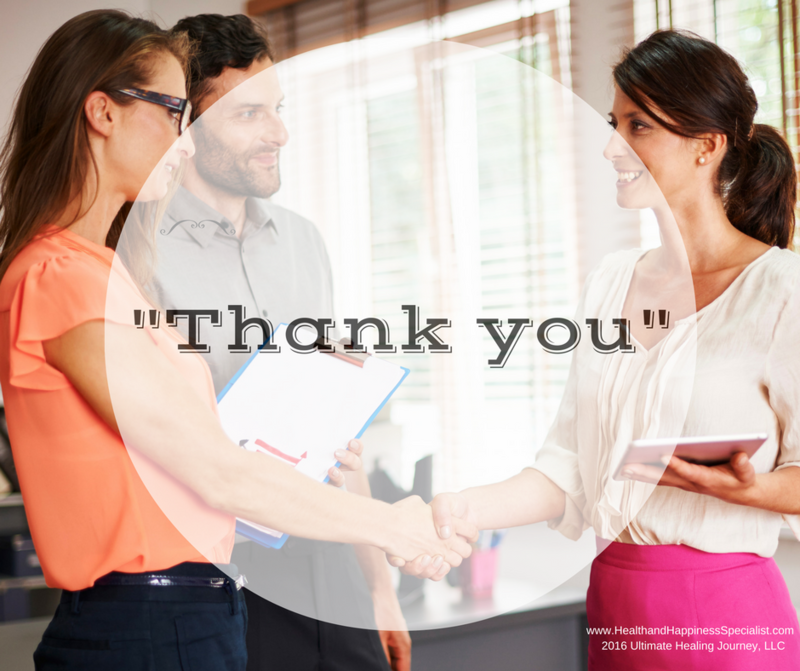 When appreciation or recognition is given, simply say "Thank you." Then keep your mouth closed. Today's busy professionals must not only work hard to get ahead in this world but they also must work hard to accept a genuine gesture of gratitude that is given to them. Doing this will help you feel more valuable in the workplace and an important part of the team. Keep practicing by saying "thank you" to yourself so that when the time comes and someone gives you the gift of appreciation you will be prepared to receive something that you well deserve. To learn more about my coaching services and my positivity in the workplace programs, contact me at info@HealthandHappinessSpecialist.com today. Until then, thank you for just being you. Correction to November 2, 2016 article on Grit. Perseverance is one of the 24 Character Strengths in the VIA Character Strengths Classification, not Grit.